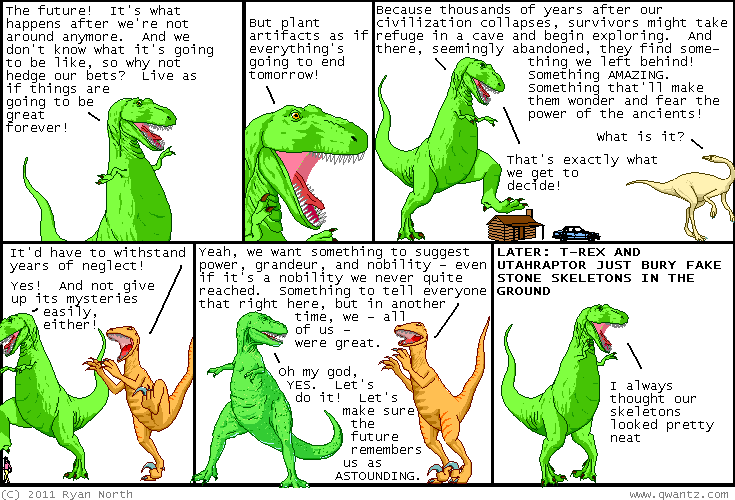 Dinosaur Comics - April 6th, 2011 - awesome fun times! –Now we all have cows! April 6th, 2011: This comic was inspired by my friend Tim's article on this subject. Tim writes a lot of good things! It's nice to have friends. One year ago today: oh, you'll grow out of THOSE.